Sports Massage is not a recent concept, in fact, the origins of sports massage date all the way back to the times of Roman Physician Galen who was believed to be alive sometime between AD 30-200. In the last twenty to thirty years, Sports massage enabled more specific training to take place for the practitioner in order to be able to address the specific needs of athletes whose bodies are undergoing intense physical exertion and stress. For a host for professional and non-professional Sports Clubs, deep tissue sports massage has been a critical component in not just recovery of its players, but also the progression of an athlete’s ability to perform at the highest order. However, Sports Massage is not just a service reserved for the elite athlete. People who suffer from injuries, chronic pain or restricted range of motion can also benefit from having a Sports Massage. This is because your therapist generally focuses in on the problem area (a frozen shoulder or pulled hamstring, for instance) rather than giving you a full-body relaxing massage. Sports massage involves manipulating your soft tissues, including your muscles, ligaments and tendons, with relative force. This helps to improve your circulation and release your lymphatic system to help eradicate toxins and waste substances from your body, improving your immune system and the general state of health. Often people are concerned that Sports Massage is painful, however, when too much pressure is applied and causes undue pain, your natural response is to tense up, this means the therapist is now treating your voluntary muscle tension and not the problem area. It is important to remember that to get that tissue to respond it may be a little sensitive but it should not be unbearable. 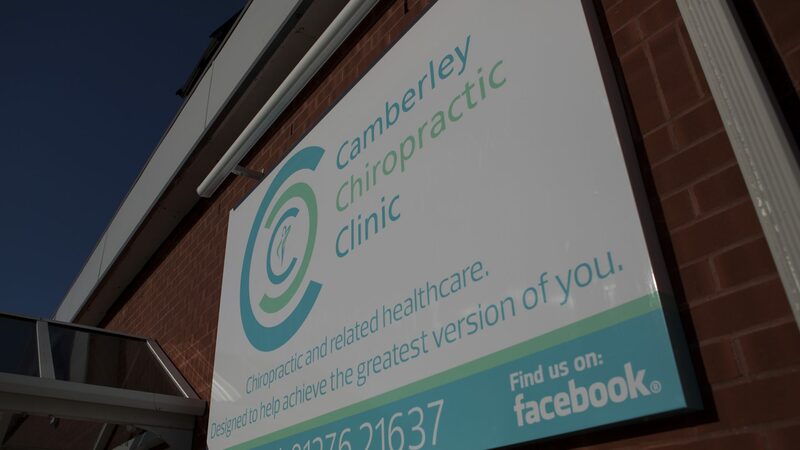 To find out more about how Sports Massage may be of benefit to you, visit our website www.camberleychiropractic.co.uk or call us on 01276 21637.